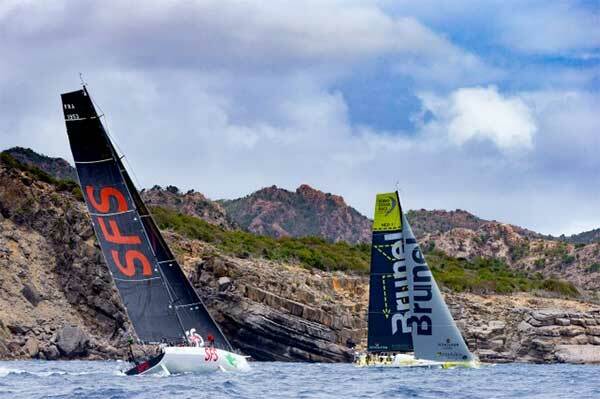 Exciting one-on-one matches punctuated opening day action at Les Voiles de St. Barth, where nine classes competed in testing seas and 12-15 knot breezes on courses, ranging from 24-31 nautical miles, that flanked the southern, western and northern sides of Saint-Barth�lemy. In the six-boat CSA 0 class, where four TP 52s are sailing, Spookie – with the U.S.A.'s current Yachtsman of the Year Steve Benjamin driving – was the undisputable winner of the start, shooting up to the pin end of the line at the last second with a burst of speed and a clear lane, which allowed the team to lead throughout the first beat and leeward leg that passed the beaches of Shell, Gouverneur, Saline and Columbier. 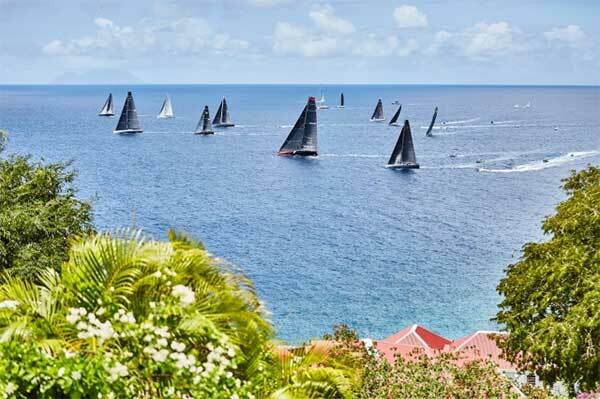 On the far side of the island, however, Jim Swartz's U.S. entrant Vesper, which had started just behind Spookie, was able to pass them and, after sailing 31 miles all told, cross the finish line 6-7 boat lengths ahead. Ken Read, Les Voiles “Godfather” and skipper of Comanche: “It's an honor (to be asked by the organizers to oversee the spirit of the event.) People who have gotten so much from sailing like I have, have to give back. As we become veterans in this sport, we have to start telling the world how great it is, and this is a wonderful opportunity for me to do that. With regard to this event, every crew here would agree this is a top-three sailboat racing destination on the planet. It's idyllic, really; you're ripping around on fast boats, on warm waters with a t-shirt on. What's there not to love about this event?